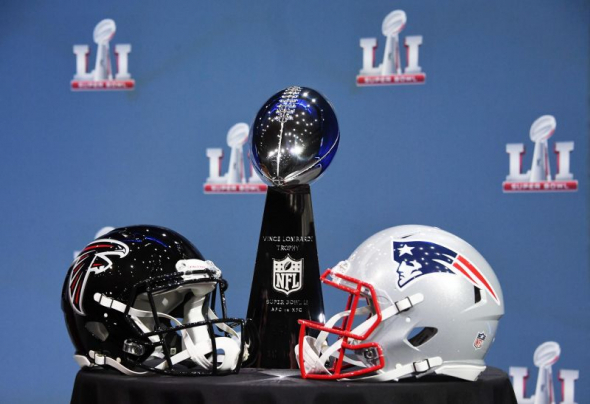 Before the big game we saw this past Sunday, ESPN 1320’s “Rise Guys'” host Mark Kreidler wrote about how he did not want the Super Bowl to be one of the most boring championship games in the history of the the NFL. Among that list was a game we just saw a few years ago in Super Bowl XLVIII when the game was pretty much over when Peyton Manning fumbled the snap on the opening drive, resulting in a safety for the Seahawks. Honestly, when the game was 14-0 in favor of the Falcons, I thought we were heading for another sleeper. 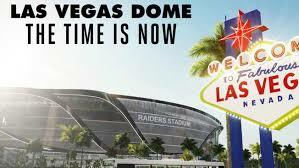 Even though the great New England Patriots were having of their worst performances in the Tom Brady-Bill Belichick era, everyone still wants an exciting or at-least a good game if their team, like my now-Los Angeles Chargers, isn’t competing on of the biggest sports stages in the world. So, in response to Mr. Mark Kreidler’s blog (http://www.espn1320.net/Dear-Super-Bowl-LI-Don-t-Be-Like-These-Guys/19475646?pid=531369&do=1&stnBlogPage=true), here is a list of why Super Bowl LI was like these guys. Arizona was trailing 20-7 at the start of the fourth quarter but scored 16 consecutive points to take the lead with 2:37 remaining in the game. If Santonio Holmes doesn’t make the game-winning catch, everyone would remember Larry Fitzgerald’s 64-yard go-ahead touchdown catch. Unfortunately when you leave 2:37 remaining on the clock and Ben Roethlisberger in his prime is your quarterback, you should have nothing to worry about. Ultimately Holmes had the game-winning touchdown to give the Steelers a 27-20 lead with 35 seconds left and was named Super Bowl MVP. Even though it was the Pittsburgh Steelers winning their sixth Super Bowl, what a finish right? I wasn’t born when this game occurred, let alone that my parents weren’t even married yet. However, watching the ESPN 30 for 30 series can make a young sports fan like myself feel like I watched some of the greatest moments in American sports history from the 1970’s, 1980’s and early 1990’s. The Four Falls of Buffalo episode went into heavy detail on this Super Bowl because the Bills were so close and the next three Super Bowls that they lost wouldn’t have been less of a discussion. 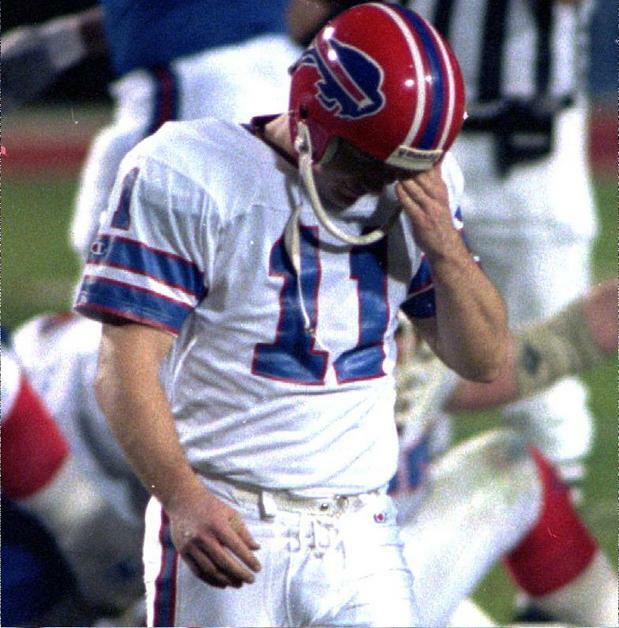 Let me break this down to those who haven’t seen footage of this game; it’s 20-19 in-favor of the Giants, there’s only eight seconds left on the game clock in the fourth quarter and Bill’s kicker Scott Norwood lines up for a potential 47-yard game-winning field goal. Unfortunately, the late January Tampa Bay wind forced the kick to go just left on the goalpost upright. Fast forward 26 years later and this is still the only potential Super Bowl winning field goal attempt missed by a kicker. Do I really have to go into too much recap of a game that happened not even three days ago? You must really don’t care about football or sports in general if you didn’t hear about this game. Greatest comeback in Super Bowl history and the only Super Bowl to go into overtime. Must I say more? I can’t put this past Super Bowl ahead of this one and my number one simply because Super Bowl LI was basically a blowout in the first half. This game was exciting from the start with no points scored in the first half, tied at 14 going into the half (Katy Perry halftime show I believe), the Seahawks having a 24-14 lead after three but due to some bad play-calling, on the 1-yard line to be specific, the Patriots found a way to win another close one on one of the biggest sports stages in the world. 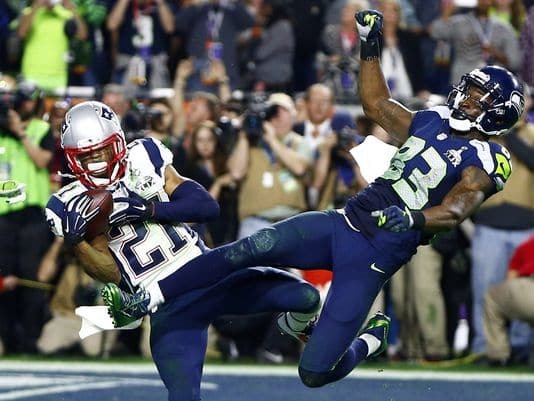 You’d think this would be history and everyone has forgotten (except Seahawk fans), but this Super Bowl is drawing a lot of comparison to this one. I wonder why? 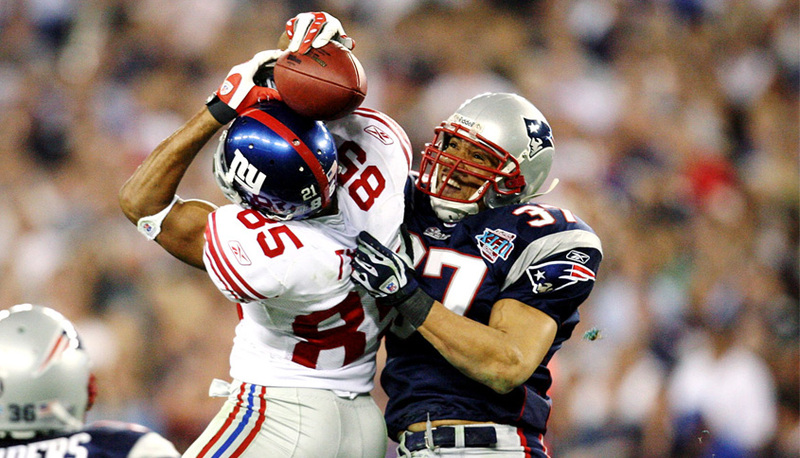 Maybe I’m still bitter over this one because the Patriots defeated the Chargers in the AFC Championship but I am forever grateful for the “helmet catch” of David Tyree. We don’t need perfection in the day and age of sports and we don’t need old records to get broken. If records keep getting shattered then what’s the point of keeping track and frankly what’s the point of watching anymore? As sports fans we expect the great ones to rewrite history sometimes but not every year. We want the excitement of the possibility but we don’t want it to happen. I’d be telling a lie if I said I fully supported the Warriors to have the greatest regular season record of all-time and win the championship. The reason for that is, look at NBA fans now. We are expecting the Warriors to achieve greatness and rewrite history but will it happen? Probably not. That’s why the 2007 New England Patriots with a record of 18-1 is a great part of sports history. No more football. Oh no! Football season for the 2016/2017 is now over. What are we going to do when football teams are on their offseason? Wait, I have to admit that every team did their best this season, such as Cleveland Browns that broke their winless streak when the won against the San Diego Chargers, which are now Los Angeles Chargers. It’s amazing to see that what the football teams have done from the beginning of the season until the end of the season. First, the NFC teams that I am happy that made the playoffs were Dallas Cowboys, Green Bay Packers, and Seattle Seahawks, which all of the teams lost which was quite unfortunate because I wanted to see either Dallas or Seattle in the championship game that occurred on Sunday, February 5, 2017. The teams that competed in the championship game were New England Patriots from AFC and Atlanta Falcons from NFC. When I was watching the game, I thought that Atlanta had it, but they blew off a 28-3 lead that ended up with 34-28 New England at the end of the game. It wasn’t an easy game, but it was worth it because the first time in history the game went to overtime in which that almost does not happen in football championships. Now that football is over, what do we do? Well, hockey and basketball are going on and soon baseball will be on too. One of the recent basketball games was when Sacramento Kings faced the Golden State Warriors at the Golden 1 Center in Sacramento, CA. I was impressed with the game, not that I didn’t watch it, but the fact that it went to overtime. Sacramento Kings won the game with 109-106 in an overtime. It was a surprise to see that the Sacramento Kings won that game, well they are the NBA team in Sacramento. When will Sacramento get a WNBA team? We never know. Baseball is almost here. Now that football is over, who is ready for baseball? I know I am! My favorite baseball team is Los Angeles Dodgers. Los Angeles Dodgers recently added Sergio Romo to their team roster for the season. I wonder what’s in store for Chicago Cubs this season whether or not they are going for another championship. We will wait and see how the season goes. Well that was an intense Super Bowl we all witnessed! The Falcons got off to a blistering start which was clearly leaving the Patriots a bit bewildered. 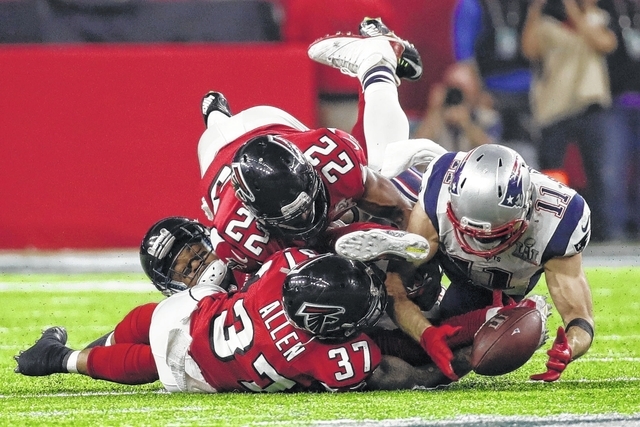 The first half was nothing short of surprising because the Patriots were not supposed to trail by that much; granted we all knew the Falcons had an explosive offense…but so to did the Patriots. The amazing thing though, was it was not the falcons offense that gave them that big lead, it was their defense. Brady threw two picks, one which was returned for an 82 yard touchdown. Coming into the game, the Falcons defense actually ranked closer to the bottom of the league (according to nfl.com), so when Dan Quinn’s defense came out with those 2 picks and the 3 or 4 sacks of Tom Brady, I was a bit surprised. Then came the 4th quarter…and literally everything changed like I knew it would. The Patriots were just too good to play that poorly and I knew they would at least make a game out of it…and boy did they ever! As soon as Julian Edelman made that ridiculous catch, I knew the Falcons were going to lose. Everything was going the Patriots way at this point and there was going to be no way that the Falcons defense could with-stand the Patriots onslaught. It was painful to watch the Falcons lose control of that game. As a 49ers fan, I was only rooting for the Falcons because their offensive coordinator, Kyle Shanahan, was going to be our new head coach, which should be cause for excitement for Niner fans, but that is another blog for another time. The Falcons just simply ran out of gas, and against a team like New England, that is asking for trouble. Overall, it was an exciting game to watch. This game seemed to have all the drama that a sports nerd could want. It had the excitement of the team you rooted for getting off to a sizzling start, then it had the moments of nervousness as you watched the opponent start to come back, and finally it had that disastrous moment of heartbreak, when you lose in overtime. This game had every emotion you could ask for. This is why we love watching sports. 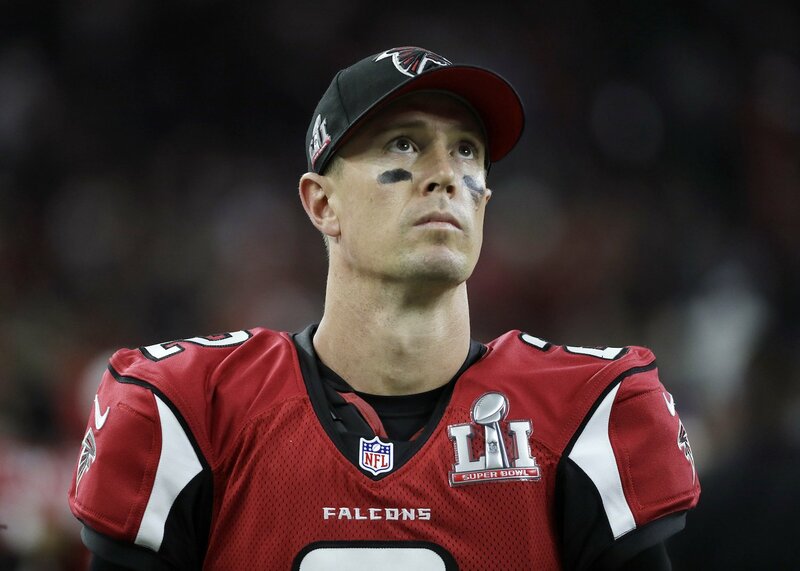 Yes, our teams will have moments of glory, but there are those other times when they (in this case the Falcons) must endure gut wrenching moments that sting you for the entire off season. On the bright side, the Falcons still look poised to make another championship run, if they keep their core players intact and they can stay healthy, then I think they have a legit shot of returning to the super bowl. However, losing their offensive coordinator is going to be huge for them because Matt Ryan had a really good relationship with him and they both worked very well together. Whoever becomes their new OC will have to try and emulate the success that Matt Ryan and Kyle Shanahan built. Not an easy task. 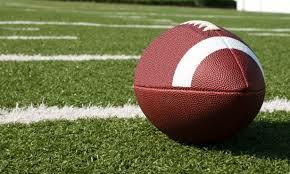 I am not a huge fan of football, but watching the Super Bowl last year had me interested in watching it this year. The half-time show was interesting to watch because I didn’t expect so much entertainment during the game. I was with my roommates at the time and they were telling me how they were ready to see the performers during the half-time show. I asked why were they so thrilled and they provided a video from the 2015 Super Bowl half-time show. It was Katie Perry performing “fireworks” and she put on a great show. Last year Coldplay, Beyonce’, and Bruno Mars performed. It was a great performance, I didn’t expect the Super Bowl to be so live. After watching the performances from last year and 2015, i was ready to watch the Super Bowl to see who will perform this year. Lady Gaga performed and she did an amazing job. However, I expected to more performers than one so I was kind of disappointed. That is my fault because I was more interested in the half-time show than the actual game. In contrast, the football game was interesting to watch. Of course I didn’t pay attention to the entire game, but it got heated at the end. Both teams were tied and that made me want to watch the game. The Falcons and Patriots were tied for ten or more minutes and I was curious to see how either team would win. Of course they would be tied once the game is close to being done. The Patriots won the game and many fans were happy that their team won. There are many other games coming up but this game as interesting as last year. I am going to look out for more performances and commercials for the Super Bowl half-time shows. Hopefully it gets more interesting than this one game and performance. In a game that the Hornets came into without a win, turned the ball over three times and were down by 17 points going into the fourth quarter; Sacramento State won its first game (1-4, 1-1 Big Sky) by a final score of 41-38 against the Montana State Bobcats this past Saturday at Hornet Field. The Hornets kept the game close in the first half, having the lead 7-3 after the first quarter and only trailing by three heading into halftime. Montana State scored first in the game on a 38-yard field goal from the true freshman kicker Gabe Peppenger. The score would remain 3-0 in favor if the Bobcats until junior wide receiver Isiah Hennie caught an 11-yard pass from sophomore quarterback Nate Ketteringham with 31 seconds left in the first quarter. Montana State would go on to score twice to pull ahead 17-7 with 10:01 reaming in the second quarter until Ketteringham threw a 14-yard touchdown pass to sophomore tight end John McGill to bring the Hornets within three with 6:34 left in the first half. Both teams would score one more touchdown before heading into halftime and Bobcats had a three point lead at 24-21. The Bobcats seemed to put the game away in the third quarter in which they forced Ketteringham to throw two interceptions, not allowing the Hornets to convert on a third down and Montana State scored two touchdowns while Sacramento State didn’t have a touchdown or a field goal. The score was 38-21 at the end of the third quarter and with a majority of fans leaving during and after the third quarter, the game seemed all but over. However, the Hornets still had three timeouts remaining and they began the final quarter with possession as they recovered a fumble on the 4-yard line with five seconds to go in the third quarter. On a quick drive that only took three-and-a-half minutes, senior running back Jordan Robinson was able to score for the Hornet’s on a one-yard rush to bring them within 10. The Bobcats and Hornets would then exchange possessions, both having to punt on fourth down. Montana State had the ball once again with 8:35 remaining in the game, but after senior running back Chad Newell rushed for a first down, the Bobcats had to punt for the second possession in a row with a little under seven minutes remaining. The Hornets took advantage of keeping the Bobcats within 10 points and Ketteringham finished a two-and-a-half minute drive with a 17-yard touchdown pass to redshirt sophomore Jaelin Ratliff. Montana State would receive the ball with 4:28 left in the second half but after two first downs, the Bobcats were penalized twice for a false start and holding, which brought them to their own 24-yard line with a second down and 24 to go. The Grizzlies had to punt with 1:35 remaining and the Hornets once again took advantage of holding the Grizzlies to no points allowed. The Hornets began their drive on their own 32-yard line and within one minute and fifteen seconds; Ketteringham threw another touchdown pass to Ratliff, this time for 15 yards, to give the Hornets a 41-38 lead with 15 seconds remaining in the game. Montana State attempted a quick drive down the field, but they were unsuccessful and the Sacramento State Hornet’s football team earned their first win of the season and defeated the Montana State Bobcats for the first time since 2005. Ketteringham completed 34-of-54 pass attempts for 356 yards and threw for four touchdowns. Jordan Robinson had eight rush attempts for 60 yards and two rushing downtowns. Jaelin Ratliff led all receivers with seven receptions for 89 yards and two touchdowns, both were the final two touchdowns of the game. Sacramento State will play again at home to face the North Dakota Fighting Hawks (3-2, 2-0 Big Sky) this Saturday at 6 p.m. This will also be the homecoming game for the Hornets.